Pickett Design Associates provided a full scope of interior design services for the recently completed Kaiser Permanente Anaheim Medical Center. The newly constructed replacement hospital features state-of-the-art facilities boasting the latest innovations in patient-centered care. Following the Total Health Environment and THRIVE campaigns supported by Kaiser Permanente, the facilities interiors pull from its exterior surroundings to “bring the outside in.” Natural-inspired materials such as wood-look plank flooring, natural stones, Kirei accents and pops of vibrant color in paint, upholstery and artwork (coordinated with J.D. Thompson & Associates) reiterate the variety of texture, color and life found in our everyday world. 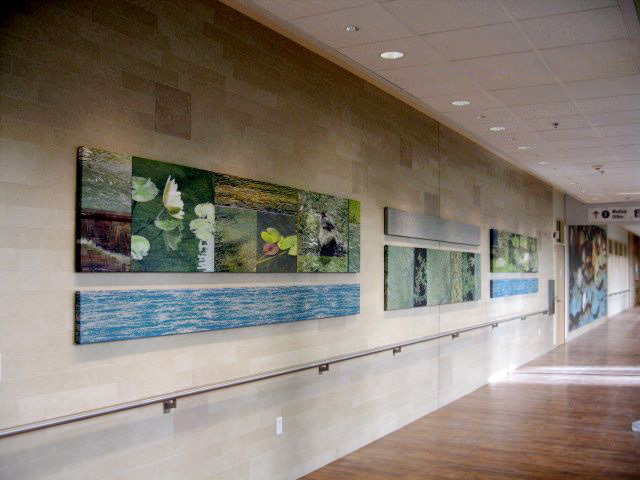 To further promote a connection with the outside, large views of the healing gardens throughout the medical center campus help to inspire healing among the patients, staff and visitors.